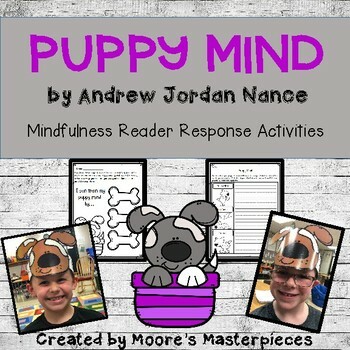 Puppy Mind by Andrew Jordan Nance is a wonderful story about a little boy who has trouble training his puppy mind. Throughout the story, he learns valuable lessons about mindfulness that helps young readers understand the important skill of staying present. 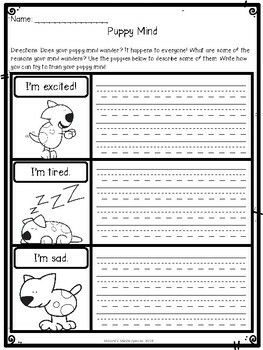 *Two options for reader response activities: What distracts your puppy mind? What can you do to train your puppy mind? *Puppy Mind Headband: I can train my puppy mind!